CCM “Exclusive” Tacks Vector Pro Youth Hockey Skate | Sports Etc. By combining features of the Tacks 4092 and 5092 skates, the Tacks Vector skates were created to offer better value. These skates add comfort and style with a Pro Felt Tongue, brass eyelets and more. CCM Tacks Vector skates. Available only at Sports Etc. CCM Vector Fit– Cut wide in the toe and more contoured around the heel. Tacks are perfect for someone with a fuller cut foot, who is still looking for a more contoured shape around the foot. 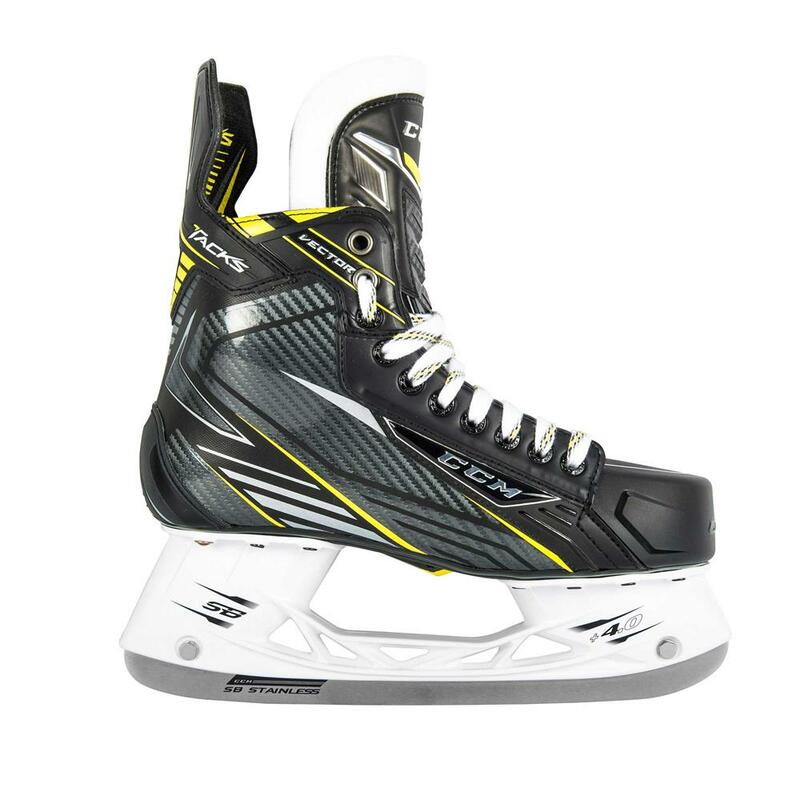 Sports Etc Performance To Value Rating– 9 out of 10- A great choice for an elite level skater, or one who strives to be an elite level skater, looking for a stiffer/high performing boot.